A fisherman carries his net along the shore in Atauro, Timor-Leste. Photo by Holly Holmes, 2013. 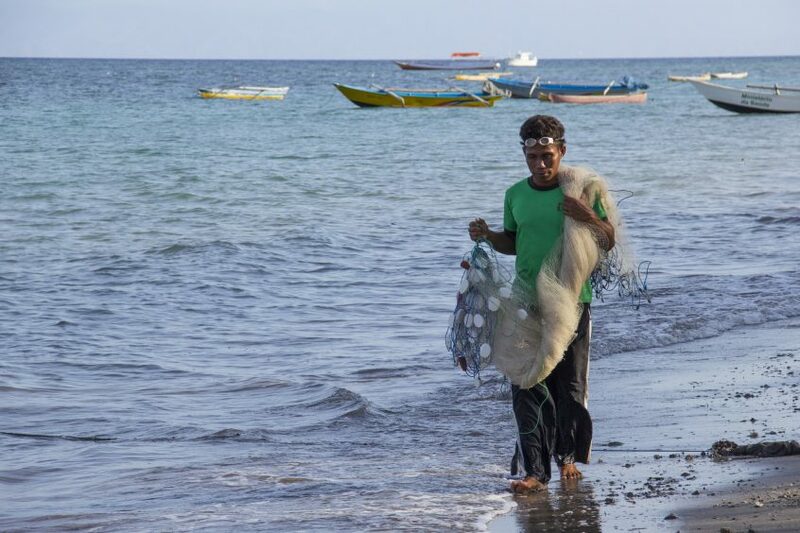 Marine litter is a problem caused globally, but it is being most felt by coastal communities in developing countries, like Adara in Timor-Leste. Finding sustainable solutions to marine litter is the focus of World Oceans Day today, of which research to build the recognition and resilience of small-scale fisheries and fishers plays a critical part. Workers sort through dried fish in Bangladesh. Exploitative working conditions in the dried fish sector in Bangladesh are undermining the well-being of workers, while at the same time potentially contributing to the positive well-being of those who employ them. 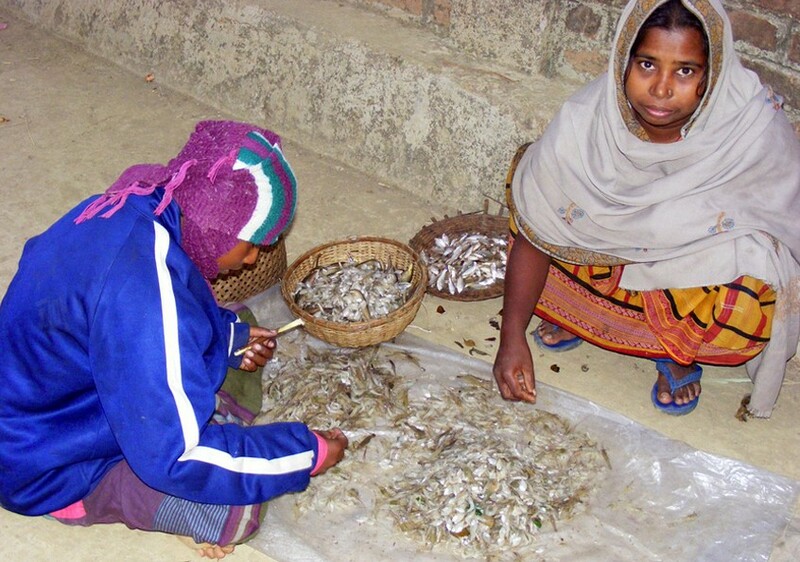 This is the finding of new research by WorldFish and partners that sheds an important light on the largely ‘invisible’ dried fish sector in Bangladesh, and enhances the concept of well-being in small-scale fisheries research. 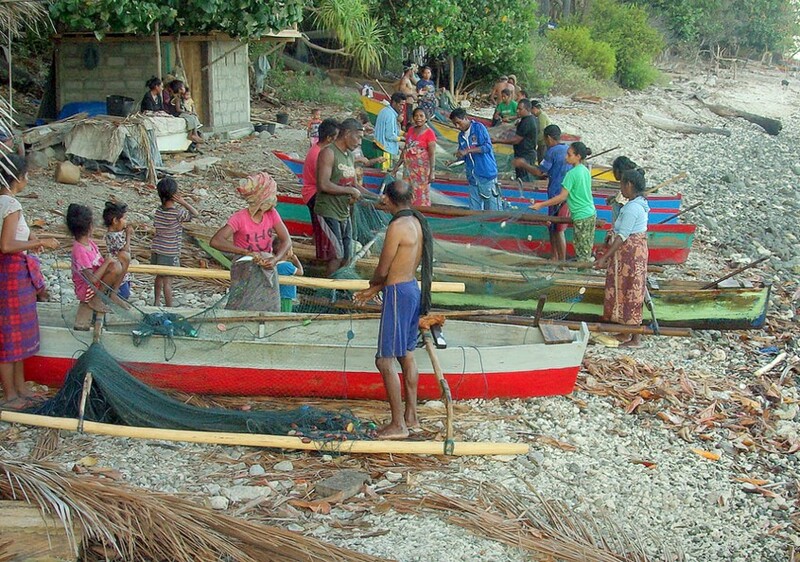 Gill nets in Adara, Timor-Leste. In many instances, research focused on small-scale fisheries is trying to improve human wellbeing, nutrition, and the way we manage our natural resources. But how does “doing research” lead to such real-world change? This was a topic of discussion at the recent Symposium on Resilient Small-Scale Fisheries hosted by WorldFish at its headquarters in Penang, Malaysia.